Nacogdoches, Texas- For almost 70 years, Bert Rees cherished the holiday season. Rees was filled with Christmas spirit and loved to share the joy of the season with those around him. Today, Rees’s legacy and love of the holidays continues in the oldest town in Texas. Rees’s family and friends are helping to make the holidays merry and bright in Nacogdoches County by continuing Rees’s tradition. 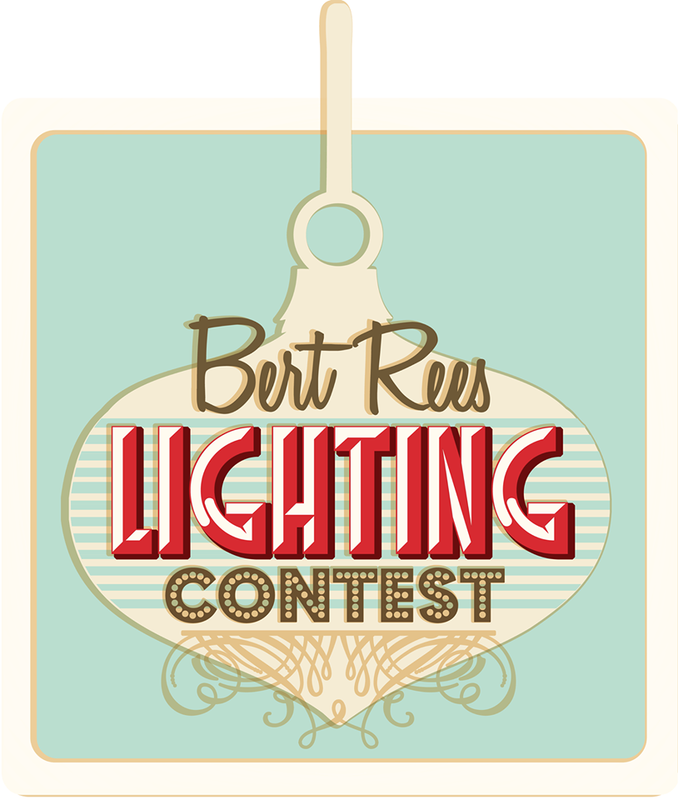 Rees Jewelry and friends of the late Bert Rees and his family are proud to present the 5th Annual Bert Rees Lighting Contest in Nacogdoches County. The contest, which was named for SFA art professor, jeweler and Christmas light enthusiast Bert Rees in 2010, encourages residents of Nacogdoches County to celebrate the holiday season by entering a photo of their outdoor lighting display. Rees passed the following year in 2011, but was elated to have a Christmas lighting contest named after him. Rees began decorating his family’s home in San Antonio in 1940, at the age of 12. That year, he covered the roof of his family’s home in white fabric to simulate snow. Each year, his Christmas displays grew more elaborate. According to those who knew Rees, he believed you could never have too many Christmas lights. When he moved to Nacogdoches to accept a position as an art professor at SFA, he brought his love of Christmas decorating with him. 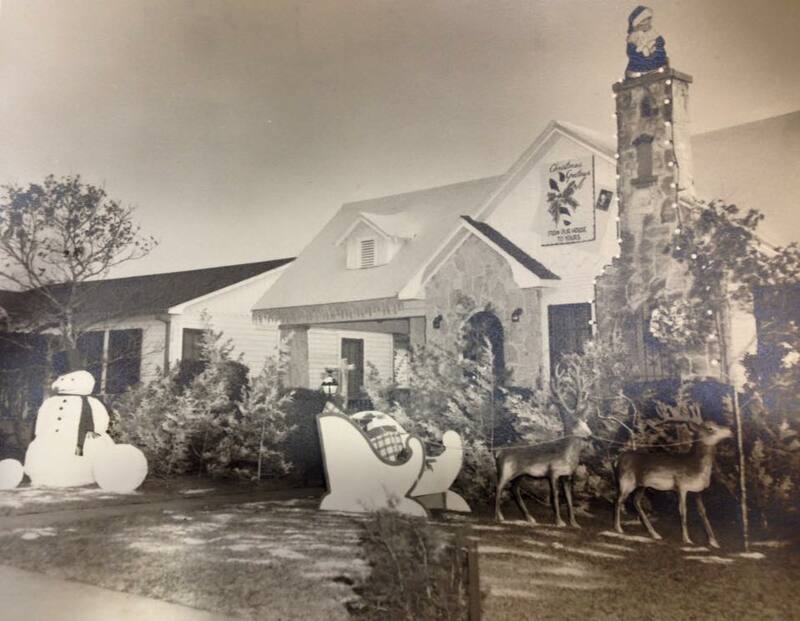 Over the years, his home on Rusk Street was adorned with handmade Christmas displays. 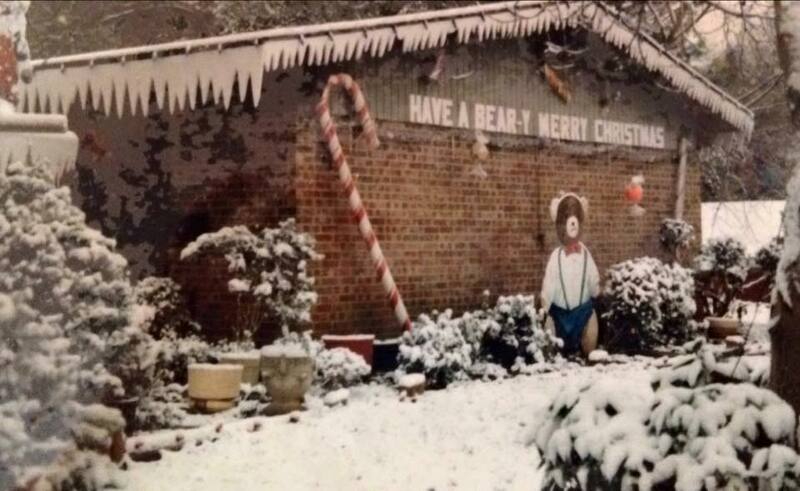 His home was the must-see Christmas installation in Nacogdoches each year. Rees’s daughter, Dr. Chay Runnels explained that her grandfather, Rees’s father, was a mailman and things were often a bit stretched at home. Rees quickly learned he could give many people the gift of joy at Christmas by decorating his home and helping motivate others to decorate theirs as well. “We got a late start this year, as the contest transitioned from being organized by the Nacogdoches CVB to being organized by our family and friends,” said Runnels. “Thank goodness Marty Prince and Kendal Rogers stepped in to help get the Facebook page off the ground and the contest going. For the past 5 years, the prize money has been provided by Rees Jewelry and friends and family of Bert Rees. We are glad to bring it back this year,” said Runnels. This year’s contest will feature a People’s Choice winner as well as a Judge’s Choice. Cash prizes of $150 each are being sponsored by Rees Jewelry, the business owned by Rees’ widow, Charlene. Entries will be accepted online via the Bert Rees Lighting Contest Facebook page (http://woobox.com/c6y54r) or via Twitter and Instagram using the hashtag #NacLights2015, through December 18. The Rees family is hopeful that people will enter the contest and also vote for the People’s Choice Award. Voting will continue online via the Bert Rees Lighting Contest Facebook Page through December 22, 2015. One vote per IP address or device per day. Winners will be announced on December 23. NACOGDOCHES- The annual Nine Flags Christmas Festival honors the cultures represented by the nine flags that have flown over Nacogdoches throughout its rich history and this year it pays special tribute to the Spanish flag. 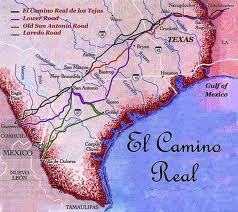 In honor of this year’s featured flag, the Nacogdoches Convention and Visitors Bureau will host the El Camino Real Exhibit December 6 through January 6. 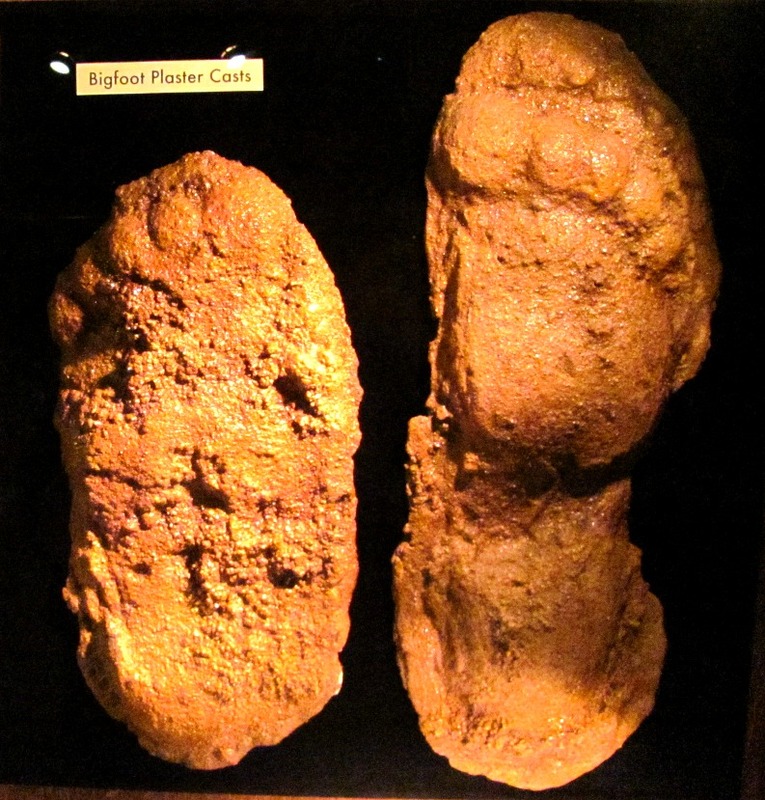 Jefferson, Texas- Bigfoot is more than a tall Texas tale, he’s a legend who is never far from the minds of those who venture into the Piney Woods. Enjoy local lore this weekend with dinner and Bigfoot movie at Kitt’s Kornbread Sandwich & Pie Bar in Jefferson, Texas. 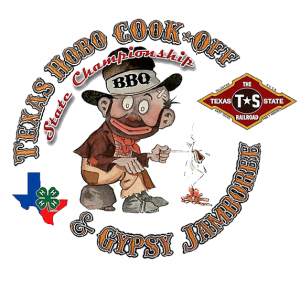 Rusk, Texas- The Cherokee 4-H Parent & Adult Leaders’ (PALS) Association has partnered with the Texas State Railroad in Rusk to sponsor the Texas Hobo Cook-Off & Gyspy Jamboree. The event will be held on the grounds of the Texas State Railroad Campground in Rusk on Saturday, July 3-4.